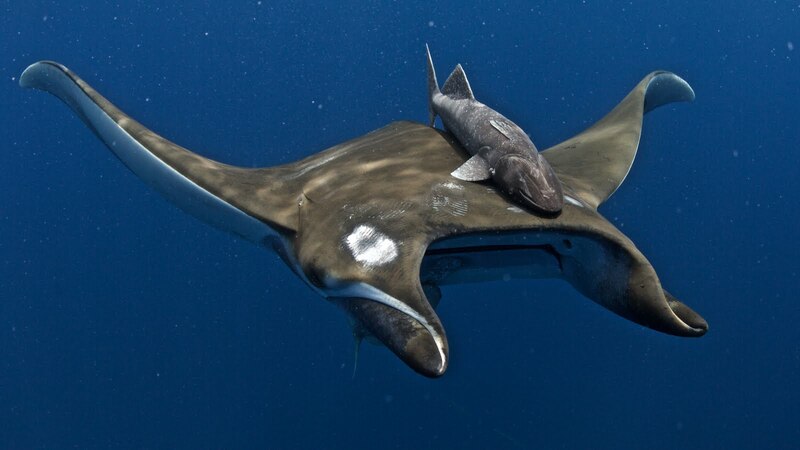 Many shark species cruise the open ocean but the chances of finding them at any given time are minimal. 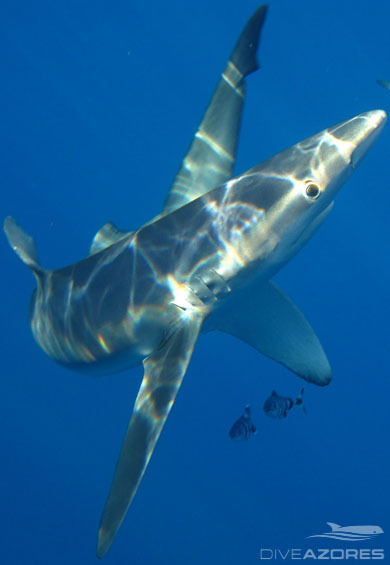 Fortunately, the Azores are in the migration pathway of some oceanic shark species that cruise the North Atlantic, such as blue shark (Prionace glauca) and shortfin mako shark (Isurus oxyrinchus). Shark diving from Faial takes place in bottomless blue water well offshore. A boat ride of approximately 1 hour takes the divers to Condor Bank, a seamount located about 10 miles Southwest of Capelinhos Vulcano.